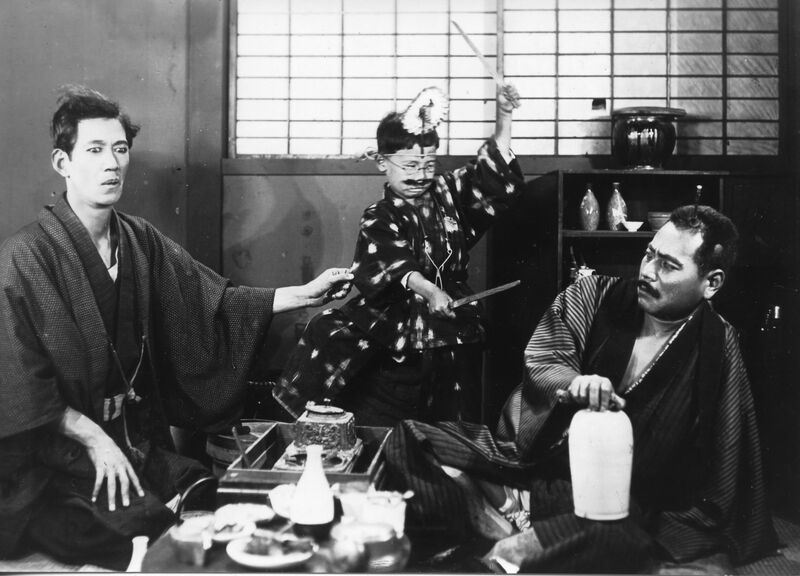 The Japan Foundation, Manila presents a silent film screening of Yasujiro Ozu’ comedy: A Straightforward Boy (突貫小僧, 1929) with a Filipino benshi (silent film narrator) for the first time in history on Sat, Sep 1 from 6pm during the 12th International Silent Film Festival Manila held at SM Megamall Cinema 2 from Thu, Aug 30 to Sun, Sep 2. Bunkichi kidnaps a boy Tetsubo with an appetite for sweets. Unable to keep him under control, the kidnapper returns him to his boss, who refuses to take him back. He tries to dump him on his playmates, but he incites them to demand toys and other goodies from him. The original theatrical release of Tokkan Kozo was 38 minutes long, but it was presumably lost. A 9.5 mm version which was sold as a format for home viewing was discovered in 1988 but this was incomplete due to degradation of the film reel. The version found in 1988 was 14 minutes long, and it was shown at the 2015 edition of the International Silent Film Festival in Manila. Screening this year is a most complete and intact 9.5 mm Pathé baby version that was fortunately discovered just three years ago, which is 19 minutes long. Tito Genova Valiente is a public anthropologist, a film critic and film educator. He had his post-graduate studies in the field of Anthropology in Japan. He developed a course on Japanese Cinema in the Japanese Studies Program of the Ateneo de Manila University and has taught courses on Japanese Film, Culture, Literature and Philippine-Japan Relations. He is a member of the Manunuri ng Pelikulang Pilipino, the oldest and the most prestigious film critics circle in the country, where he once served as its Chair. He is a columnist for Business Mirror and a member of the Executive Committee for Cinema under the National Commission for Culture and the Arts. He has co-authored books on Japanese cultures in Asia and war memories. In 2015, he was awarded by the Union of Writers of the Philippines the Gawad Balagtas for Achievement in English essay. He is the present director of the Institute of Bikol History and Culture in Ateneo de Naga. To provide the music for the benshi and the silent film, Tokkan Kozo, is a band from Naga City, in Bikol. They call themselves the Tanikala Tribe (literally “Chain Tribe”) and have been around for more than two decades, having started in 1994. The name could refer to their music, which they describe as Contemporary Pop Folk/Ethnic Sound, a combination of strains and influences they see as uniting their differences as musicians and as Bikolanos and Filipinos. Even with that distinct sound, the group does not stay away from upbeat music, ballad and novelties. Their aim is “to spread love of all kind – love of Nature, love of country and love of countrymen, and love for all humankind.” Tanikala Tribe is composed of the following members: Wowie Nabua, kubing, flute, kudyapi; Raul Badiola, tambol, chimes, bells; Jojo Peconcillo, acoustic guitar; and Russel Campillos, classical guitar.